Messier 35 is an open star cluster in the constellation of Gemini and is centered around 2,800 light years from Earth. 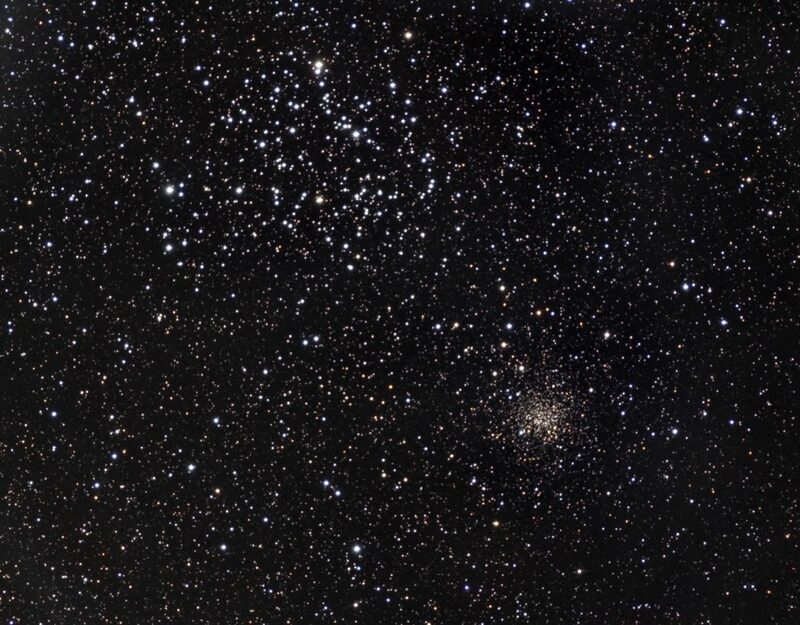 Also seen in the frame to the lower right is another open cluster, NGC 2158. 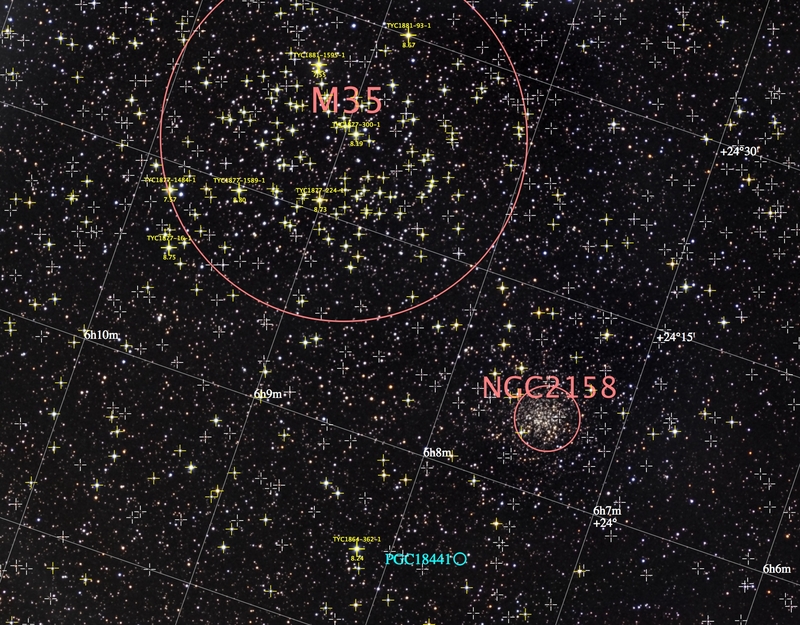 While the clusters appear close to each other, NGC2158 is an additional 9,000 light years further away from us than M35. The stars in M35 are younger, and richer in metal concentrations. The stars in NGC2158 are older, and are metal-poor in comparison.